Larry Munson - Legend 2012 Depth Chart Preview Georgia in the BCS Title Game! Return To Elite For The Defense? Someone Please Talk Me Off The Ledge Defensive Speculation How will the 2010 class finish? What would an Auburn win mean? Does one game validate our season? To beat LSU, Georgia must... I just don't get it Calvin or AJ Emptying Joe's Thoughts Injury Report Makes Saturday Scary One in a million? So, you're saying there's still a chance? 2009 Predictions: Which Freshmen will play? 2009 Predictions: Most Important Game 2009 Predictions: Final Record 2009 Predictions: Oklahoma State Five takeaways from the game I'm hoping to takeback during the season Fearless Prediction South Carolina Reaction Arkansas Thoughts Is Logan Gray the Next Blake Barnes? Is the defense defenseless? New Site Design Who wants extra "Hate?" I`m always talking about Georgia in the locker room and what a great experience I had there. I met a lot of players, students, and coaches who are now life-long friends during my time at UGA. I`d do it all again if I had the chance. 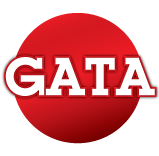 NatesDawgs.com is a University of Georgia fan web site and is in no way affiliated with the University of Georgia, the SEC, or its Properties or Organizations. This site is for informational and entertainment purposes only. 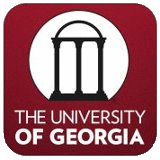 NatesDawgs.com is not an official web site for the University of Georgia.